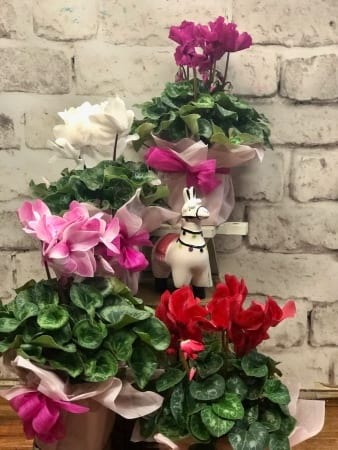 Give the gift of a Cyclamen Plant, a bright potted plant that will be a gorgeous addition to any home, office or hospital room. With stylish gift wrap and gift card this is a great alternative from Amaranthine Flowers By Design, New Lambton Newcastle. Same day delivery available to all areas of Newcastle and Lake Macquarie, including John Hunter Hospital, Newcastle Private Hospital, Charlestown Square, Lake Macquarie Private Hospital, and Mater Hospital.